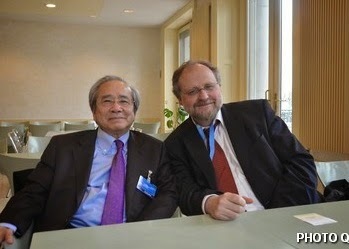 PARIS, 31 July 2014 (VIETNAM COMMITTEE) – At the end of an 11-day fact-finding trip to Vietnam, United Nations Special Rapporteur on Freedom of Religion or Belief Heiner Bielefeldt expressed regret that he was closely followed and was unable to meet some religious groups because they were under heavy surveillance, intimidated and harassed. He was in Vietnam from 21 – 31 July. At a Press Conference in Hanoi today, he said he found serious violations of religious freedom in Vietnam. On Friday 25 July, he managed nevertheless to visit the Patriarch of the Unified Buddhist Church of Vietnam Thich Quang Do to assess the current situation of the UBCV, which is not recognized by the authorities in Vietnam. Mr. Vo Van Ai, President of the Vietnam Committee on Human Rights (VCHR) and UBCV International Spokesman deplored the Vietnamese government’s impediments to the mission: “In 1998, after the last UN religious rapporteur visited Vietnam, Hanoi said it would never again “accept any individuals or organizations coming to investigate religious freedom or human rights”. This time they allowed the visit, but intimidated religious groups and restricted Mr. Bielefelt’s access. At least the UN Special Rapporteur was able to witness Vietnam’s repressive religious policies first-hand”, he said. Mr. Ai said the VCHR had worked hard for the visit, which was long overdue. Mr. Ai met with Mr Bielefeldt in Geneva prior to the visit, and submitted a 32-page “Memorandum on the Religous Policies and Practices in Vietnam, and the Situation of the Unified Buddhist Church of Vietnam”. The document detailed the strict controls and restrictions on religions in Vietnam’s one-Party state, from the highest echelons of government down to grass roots level, and gave extensive details of persecution against all religious communities, including the UBCV. The UN Special Rapporteur met Thich Quang Do at the Thanh Minh Zen Monastery in Ho Chi Minh City (Saigon) where the UBCV leader has been under effective house arrest since 2003. UBCV Deputy leader Thich Nhu Dat and Le Cong Cau, head of the UBCV’s Buddhist Youth Movement (Gia đình Phật tử Việt Nam) travelled from Hue to join the meeting. Thich Quang Do described the systematic repression suffered by followers of the outlawed UBCV throughout 39 years of Communist rule. Vietnamese Buddhism, with its 2,000-year spiritual and cultural heritage, has been reduced to a political tool in the hands of the Communist Party, he told Mr. Bielefeldt, since the creation of the State-sponsored Vietnam Buddhist Sangha in 1981 and the effective banning of the UBCV. 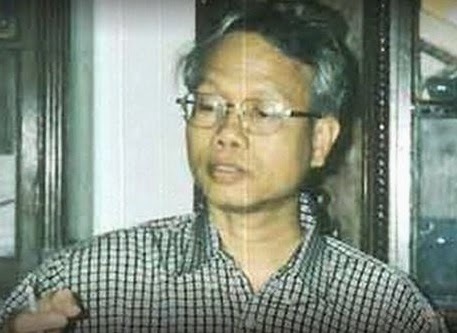 Thich Quang Do cited his own situation as an example of the arbitrary treatment of UBCV Buddhists all over Vietnam: thirty years in prison, internal exile and house arrest simply for peacefully demanding the respect of religious freedom. “I am a prisoner in my own pagoda”, he said. Thich Nhu Dat and Le Cong Cau reported on the ongoing crack-down on the UBCV in Hue, Danang and central provinces over the past 7 months. Beginning with the government suppression of Buddhist Memorial Day celebrations in January 2014 at Long Quang Pagoda (the UBCV’s Secretariat in Hue), harassments, intimidation and arbitrary detention of Buddhists have continued unabated. Over a hundred members of the Buddhist Youth Movement in central Vietnam remain under house arrest, subjected to Police interrogations and threats. The UBCV calls on the United Nations to urge the Vietnamese Government to: a. implement recommendations to respect religious freedom and fundamental human rights made at the second cycle of the UPR in February 2014; b. fulfill its binding obligation as a member of the UN Human Rights Council to uphold the highest standards of human rights; c. recognize the legitimacy of the UBCV and allow the UBCV full freedom of religious activity; d. release all UBCV clergy and followers, and all other religious followers imprisoned solely on account of the nonviolent exercise or expression of their religious beliefs ; e. repeal or revise decrees and directives on religion which impose restrictions on the activities of religious organizations or submit them to Communist Party control ; f. respect and promote the fundamental rights to freedom of conscience, expression, and association as guaranteed in the United Nations International Covenant on Civil and Political Rights, to which Vietnam is a State Party. The UBCV also calls on the United Nations to: a. closely monitor the status of religious followers in prison or under house arrest and make regular visits whenever possible; b. Ensure that all funding from UNDP and other UN aid and development agencies results in concrete progress in the respect of religious freedom and human rights, otherwise it should be withdrawn. The UN Special Rapporteur promised the United Nations would take up the UBCV’s concerns and do all possible to press Vietnam to improve the respect of religious freedom. The VCHR prepared this press release after the meeting on 25 July. However, we delayed its publication on request of the UN Special Rapporteur’s office, who asked that it be made public only after Mr Bielefeldt concluded his visit. Dalits are facing continuous violence, harassment and atrocities in Haryana especially Dalit women and children. Dalit Jan Akrosh Yatra team started its journey to unite and mobilise Dalits and Backwards in Haryana to fight against the increasing number of atrocities against the Dalits and other backward castes. 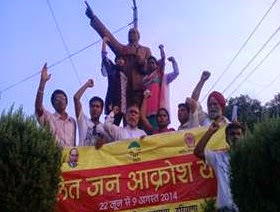 Today is 33rd day of Dalit Jan Akrosh Yatra and the Yatra started from village Jamba, Block Pundri District Karnal on 22ndJuly 2014. 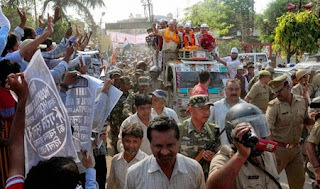 The Yatra was welcomed by the villagers. The Yatra organised a meeting with about 30 people and gave introduction about NACDOR and The Yatra discussed about the ongoing violence and atrocities against Dalits particularly Dalit women. The Yatra was supported by the People and demand speedy action on the violence cases. The men were the active participants in the discussion ad expressed their views on this increasing number of atrocities against women. The Yatra started from Valmiki Chowk and marched from one Chowk to another. The Yatra moved towards Ambedkar Chowk. The Yatra was joined by many people from different markets and shops. There were about 50 people who joined the Yatra walking through the path. They were using the slogan Baba Saheb Amar Rahe and Jai Bheem etc. They also criticised the Haryana government as it is the government of dominant caste people. The Yatra also met the ASHA Worker Smt. Rajesh Devi and Anganwadi Worker Smt. Santosh Devi. The topics for the discussion were girl child education, PDS Schemes, MNREGA, and atrocities against Dalit women. The Yatra also met women group Somwati, Krishna Devi, Parveen, Mahavir, Ramesh Kumar, and Rajesh along with 9 other members in the meeting. The Yatra also met Advocate Rakesh, member District Atrocity Monitoring Committee and discussed about the present status of Dalits and atrocities that are going on. By doing this, NACDOR has decided to build up a movement and organise meeting after meeting in Haryana to remind our people and those who are sympathetic to our cause that oppressors never give up willingly. They need to be opposed tooth and nail. It is the first time in Haryana since its formation in 1966 that a state wide Dalit Mobilisation is taking place. Dalit Jan Akrosh Yatra has instilled confidence among the Dalits, who otherwise remain mute even when they face atrocities. At all places, the Yatra is getting huge support from the villagers and insisting for the regular programmes and visits in their villages. The Yatra is also getting financial support from the villagers. The Dalit Jan Akrosh Yatra will cover more than 22 districts in Haryana before it's culmination in Chandigarhon 9th August 2014. Dalit Jan Akrosh Yatra was started from Palwal district on 22nd June 2014 and would culminate with a Dalit Jan Akrosh Rally in Chandigarh. The Yatra is expecting a huge number of people in this rally about 5000 people from different districts of Haryana. Social Online Posting Claimed as a Breach of His Terms of Release... Previously, Mr. Thanapol Eawsakul was summoned to report himself as per the National Council for Peace and Order (NCPO)'s announcement no. 5/ 2557 and was released on 30 May 2014. In order to be discharged from the military custody, he had to sign a contract annexed to the NCPO Announcement no. 39/2557. 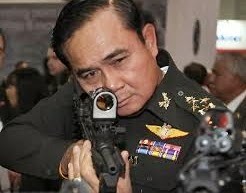 Recently, a military official who declined to give his name and position called and made an appointment with Mr. Eawsakul on 5 July 2014 at a public place and Mr. Eawsakul willingly cooperated. But it turned that at the rendezvous, a car was waiting and Mr. Eawsakul was shoved into it and was brought to a military facility. There was no indication whatsoever that the vehicle belonged to the government. In addition, the persons who apprehended Mr. Eawsakul failed to identify themselves as competent officials who had the power to arrest him invoking Martial Law. Around 18.30 the same day, Mr. Eawsakul was brought to the Crime Suppression Division without being pressed with any charges. Reportedly, the deprivation of his liberty was attributed to his postings in social online which were cited as a breach to the terms of his previous release. The Thai Lawyers for Human Rights would like to offer our opinions regarding the incidence and other similar incidences as follows; 1. According to the terms of release annexed to the NCPO Announcement no. 39/2557 for the persons summoned and no. 40/2557 for the persons held in custody invoking Martial Law, the released persons have to identify their residence, are barred from leaving the country without permission, and barred from participating in any political activity or meeting. Such terms put restriction in the rights and liberties of people regarding their right to their privacy, mobility, and freedom of expression, all of which are enshrined in the International Covenant on Civil and Political Rights (ICCPR) to which Thailand is a state party and is obliged to observe. Any restriction on such rights and liberties could only be done as utmost necessary and unavoidably as well as proportionately. No prohibition or restriction can be put universally on any rights and liberties. In addition, safeguards against such restrictions must be put in place. Nevertheless, the terms annexed to the Announcement place universal restrictions to curb people's rights and liberties and no appeal with supporting reasons can be made to have the restrictions lifted. The restrictions are not time-bound and if the persons held in custody refuse to sign them off, they shall not be released. Therefore, such terms are far from being voluntary. 2. The arrest and detention of persons invoking Martial Law as such have been conducted with no transparency and credible due process of law. It is therefore prone to infringe on rights and liberties disproportionately, particularly given that the arresting officials declined to identify themselves including their positions. Such an act simply make the person at arrest feel insecure and unsafe of their lives as they are unsure if the persons who are making the arrest against them are state officials or thugs. 3. The restriction invoking Martial Law to curb the right to freedom of expression via social online media, even though the opinions posted do not prove to be inciting violence or public disorder and that the person is consequently subjected to the arrest and detention must be considered a disproportionate, arbitrary and unnecessary act which has violated people's freedom. 4. The invoking of Martial Law to fix the terms of release including to completely prohibit the persons released from expressing their political opinions and the use of personal discretion to re-arrest the person and hold him in custody for seven days as in this case, is apparently tantamount to being a blanket derogation of personal rights and liberties. It is an exercise of draconian power to disproportionately restrict or limit the use of personal rights and liberties. Therefore, the authorities in charge and their legal divisions must urgently review the terms and the use of restrictions invoking Martial Law. In particularly, due attention must be given to the restriction of rights and liberties including by holding a person in custody, summoning, monitoring, contacting, visiting, meeting a person and other terms and conditions put forth in order to compromise the right to freedom of expression of an individual. It is simply an exercise of draconian power without any safeguards and review and as a result it can easily lead to the use of power arbitrarily and unlawfully. Even though Martial Law is invoked, but the righteousness of any act by the official is still subjected to the principle of proportionality, transparency, due process of law and judicial review. 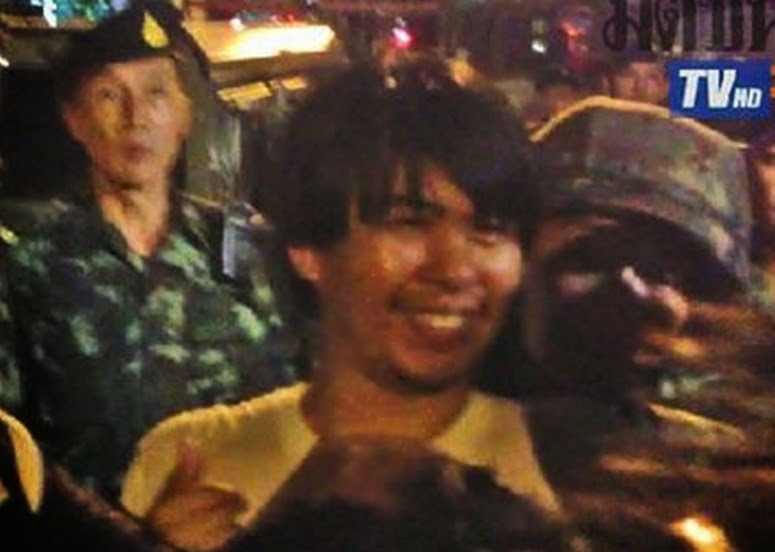 Given the reasons above, the Thai Lawyers for Human Rights urges the NCPO to immediately and unconditionally release Mr. Thanapol Eawsakul and would like to reiterate our recommendations made after the first month of the seizure of power by the military as follows; 1. Revoke the imposition of Martial Law and rescind any Notifications issued invoking Martial Law countrywide since the necessities that require the invocation of Martial Law no longer exist and replace it with normal justice process. 2. Stop the detention invoking Martial Law and stop the prosecution against peaceful demonstrators who have expressed themselves or made criticisms faithfully and revoke any order to ban public assembly 3. Stop the summonses and arbitrary detention 4. Stop trying a civilian in military court by invoking the Notification regarding the jurisdiction of military court over certain criminal offences. We are a group of Myanmar ethnic people based in South Korea; our organization name is called “All Ethnic Democracy and Human Rights Network”. 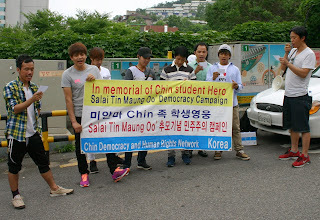 Today we are protesting our democracy and ethnic-civil rights in front of Myanmar embassy, in memorial of our leader - Chin student hero ‘Salai Tin Mg Oo’ who was deliberately killed by Myanmar military junta due to his democracy and freedom movement. This is the memorial of 38th anniversary of Salai Tin Mg Oo assassination, that Myanmar’s military junta killed him on June 24, 1976. We “All Ethnic Democracy and Human Rights Network” are strongly condemned for the Myanmar military government’s action for that. Similarly the military regime massacred students’ activist on July 7, 1962 in the past and order to destruction of the Student Union Building. Afterward there was nation wide mass uprising in 08/08/1988 where the government responded brutally firing into the crowd – leading to about 3,000 killed, and there was Depayin massacre in May 2003 which military alleged killed hundreds of people, also there was the people revolution in September 2007 which military killed and disappearance hundreds of people again. Recently, military troop escalated war against ethnic Kachin. And religious clashes in Arakan state, central Myanmar and several places which is the consequence of military rule for several decades, where ethnic state has no chance to administering their own region properly, consequence, there are ongoing religious and ethnic clashes. Therefore we demand a new Myanmar quasi-military government: (1)Admit and apology for killing Salai Tin Maung Oo. (2)Stop continues war and human rights violation. (3)Stop military interfering in civilian government. Remove 25 % military seats for parliament in the constitution, and avoid any law imposing on restriction on religious freedom, and follow democratic principles. (4)Change to genuine democracy system and provide freedom from political and economic suppression. And we ask South Korea government and International community to support on our course of democracy movement and effort to transform a genuine democracy system in Myanmar. Also we ask them to support and help-out the ethnic victims in inside the country and asylum seekers around the world. “WILL LATADIDI STAND FOR THE POOR MADE HOMELESS”? IS THERE EQUITY BETWEEN CAMPA-COLA & AMBEDKAR NAGAR? While the Housing Rights of residents of Campa-Cola compound have once again become a matter of public debate & Bharatratna Lata Mangeshkarji, owner of one of the flats herself, has come out in protection of them, we welcome the debate. Let the debate and deliberation, however, get focused on the wider issues related to common people striving for shelter yet getting either bulldozed or cheated! Atleast now when the rich, elite families in Campa Cola are also facing betrayal, at the hands of ‘Pure Drinks’ with impure, illegal actions of raising storeys which were not permitted within the FSI limit, the builders-officials nexus should come to the fore. Why were the builders permitted to carry out work beyond what was permissible, after paying fine in 1986 itself? How was formation of Co-Op societies permitted? Have the officials of the corporation who didn’t take action all these years & builders held responsible ? Why should only the residents who claim their ignorance be treated as the culprits and cheaters? Whom have they cheated personally when all the sanctions & deals were between the developers & authorities? These questions need to be asked & the Judiciary is expected to look into the same. While no one can disrespect law, justice appears to be distant in this case. Lata Mangeshkar's comment that her concern is because the residents, with children & aged, are be homeless, is however exaggerated. Whether or not she is only for saving her own apartment (which is in one of the buildings as per media reports), Lataji also knows that the well-to-do families can’t become homeless by losing this house & most of them may have already made alternative arrangements. Whatever it’s, we wish Lataji could use her social and political weightage in favor of all those who are poor & hence compelled to live in so called illegal houses? Meet the real homeless in Azad Maidan .. Support them. The case of Ambedkar nagar Mulund is typical of many other slums. The land which they were residing on, since years was handed over with no price tag, to cooperatives of ex.- bureaucrats and other upper to middle class citizens but with a condition to add “Slum Rehab” to the 8 societies' federal projects. Samarth Spark Developers with Society's promoter's son as a partner, could accommodate only 50% of 600 families & not the rest. Why couldn't our Right to Shelter be protected, those declared ineligible began asking. Meanwhile the societie's project came under scanner. The statutory enquiry was carried out & the report is now out. The report recommends enquiry into eligibilty to illegality involved... yet the houses were bulldozed. Those who purchased or built houses prior to 1995 or 2000 are out on streets. Why so? When even though as a pe-election lollipop, Slum Act was ammended to change the cut-off date from 1995 to 2000, it was & it is a duty of the State to protect them all, as per the notification dated May 2nd 2014. Yet the contrary happened. On the 19th there was a brutal eviction of 130 houses, when even some of their belongings got damaged. The agitation is on since May 20th till date... All promises by Minister of State for Housing & officials have proved to be partial, not fulfilled and the illegality involved in demplition goes unattended. How many, if not Lataji & such eminent persons, common people- Aam Aadmis- have time & sensitivity to come forward & meet the real homeless at Azad Maidan, Mumbai? As India completes a largest electoral battle in the world that culminated in the formation of a new Union government in New Delhi, the ‘paid news’ syndrome continues to hunt the general populace as well as the election authority of populous country. A number of cases have already been registered against various political parties for allegedly bribing some selected media houses for facilitating election campaign related favourable coverage in expenses of cash or kinds. April & May 2014 was in real sense the polling months for the largest democracy of the globe, where 814 million Indian voters were exposed to the electoral exercises for formation of India’s powerful lower house of Parliament. The world media focused on India as the nation with over a billion population progressed for a new regime in New Delhi. A robust & vibrant Indian media was virtually glued to the poll battles across the country which was estimated to be an affair of Rs 30,000 crore ($4.9 billion). Understanding the growing influence of newspapers & news channels on millions of electorates, the Election Commission of India took some strict measures that could prevent the unsolicited use of media command by various political parties for their selfish interest. Even the exit polls for 16th Lok Sabha election were banned by the Commission as the polling began on April 7 and continued till May 12. Indian chief election commissioner V S Sampath, in an interview even asserted that the paid news practice by some media enterprises should be recognised as an offense under the country’s electoral law like Representation of the People Act. The Commission was monitoring the candidates' expenditures for campaigning in the polls as the limit for each candidate was fixed on Rs 70,00,000. The election related campaigning through the advertisements in newspapers, television channels, radio service and even on internet outlets that might have cost millions of Indian rupees was also on the rather of the Commission. In the practice of paid news, the owners of a newspaper/news channel demands money from the political party leaders with some hidden understandings. Hundreds cases have been registered with the Commission with the allegations that politicians spend huge amount of money to manipulate the media house managements for their good coverage and if possible spreading negative news regarding their opponents. The arrangement helps the political parties to prepare a relatively lower electoral budget with the advantages of those ‘bought media space’. “Simply put, paid news is a form of advertising that masquerade as news,” said Paranjoy Guha Thakurta, a scholar on Indian mainstream media adding that the corruption in the Indian mass media is a complex phenomenon where ‘the paid news entails illegal payments in cash or kind for content in publications and television channels that appears as if it has been independently-produced by unbiased and objective journalists’. Speaking to this writer Guha Thakurta also added claimed that the black money, which is difficult to track, is usually involved in paid news. Today much of the media is dominated by corporate conglomerates that have a single goal of maximizing profits. The autonomy and the independence of the media get compromised because of corruption within, asserted the media commentator based in New Delhi. Amidst the wave of national polls, India’s apex court on April 9 made a strong ruling that the journalists and non-journalists newspaper & news agency employees of the country should get their pay hike under the recommendations of Majithia Wage Board. Dismissing the plea of various media house owners seeking review of its earlier judgment in this respect, the Supreme Court of India directed them to implement the recommendations of the new wage board from November 11, 2011. Mentionable is that the latest report of national wage board for working journalists and other newspaper employees under the guidance of Justice GR Majithia was presented to the Union government in New Delhi on December 31, 2010. “A fine, fair and judicious balance has been achieved between the expectations and aspirations of the employees and the capacity and willingness of the employers to pay,” said Justice Majithia in an interview. He further added that the report has made some suggestions for the consideration of the government on issues like post-retirement benefits, a forward looking promotion policy, measures to improve enforcement of the wage board etc. As far as social security measures are concerned possibility of granting paternity leave to male employees, extension of retirement age up to 65 years, exploring pension scheme possibilities were suggested going beyond the mandated wage structure revision, he added. The wage boards for newspaper & news agency employees including journalists, constituted under the working journalists and other newspaper employees (conditions of service) and miscellaneous provisions act 1955 are statutory in nature. The prime responsibility for implementing the recommendations of the wage board rests with the concerned province governments and Union territories of the country. “Journalists are paid a lump sum without any welfare benefits and they can be dismissed at will. Except for some newspapers the mainstream publications had, ever since the wage board’s award came out in 2010, conducted only diatribes against the award,” said an editorial of Economic & Political Weekly, a credible publication of India in its March 29, 2014 issue. It also added, “The burden of opinion pieces by either the owners or top executives (usually in their own publications) was that small newspapers would be forced to close down while the bigger ones would be crippled. While five journalists’ trade unions and federations fought the challenges in court, there was nary a word from journalists or any form of public protest. The entire scenario illustrates well the working conditions of journalists in the country today.” Even the Asian Human Rights Commission (AHRC), a regional non-governmental organisation that monitors human rights in Asia and advocates for justice, expressed concerns over the salary and working conditions of media persons in India. “In the last few years there has been a major change in the profile of media houses, with an increasing number of high profile business persons/organizations making an entry. Yet, working conditions for media personnel remain close to the same,” said an AHRC statement issued from its headquarter in Hong Kong, adding that the salary of newspaper employees is ‘minimal with no chance of raise no matter how many years one has been on the job’. Referring to India’s apex court’s decision to uphold the recommendations of Majithia Wage Board for journalists and non-journalists on their pay structure, the AHRC urged media houses to honor and implement the recommendations of the latest wage board as a matter of priority. It also called upon the State governments to ensure a safe working atmosphere for journalists and make provisions for social benefits like health and life insurance for the media employees. All Assam Media Employees Federation (AAMEF), while addressing the matter of livelihood for media workers in northeast India has meanwhile urged the newspaper house managements to show their respect to the Supreme Court by implementing the new wage board at the earliest. Appreciating the Assam Tribune group for implementing the latest wage board recommendations for the first time in the country, the AAMEF declared, “It is now time for other media groups to show their gestures to their own employees.” “We have a model media house (The Assam Tribune) that has survived successfully for two years with the new wage board facilities to the employees. Now we will not accept any logic that the Majithia recommendations are not implementable. Ultimately one has to have the minimum commitment to the medium,” said Hiten Mahanta, president of AAMEF. Meanwhile, Electronic Media Forum Assam (EMFA) urged the Union government to facilitate the media persons engaged with privately-owned satellite channels with systematic pay hike like their counterparts in newspaper & news agencies. EMFA pointed out that nearly 80 per cent television employees of India are still performing their duties with pitiable salaries, unlimited working hours and without any facilities recommended by the country's labour laws, not to speak of any statutory wage board’s guidelines. Journalists' Forum Assam (JFA), on the other hand, raised voices for a social media audit of newspapers & private news channels of the country such that the readers & viewers can have a transparent picture of the financial dealings involved in their favourite media outlets. “When we talk about the paid news menace, it creates the impression that a huge amount of money from the politicians comes to the media groups. But the greatest irony is that the deals are not being fixed by the journalists or other employees, rather it’s the prerogative of the owners. And quite naturally, the financial benefits from the exercise are sucked by the managements alone, where as the concerned media house has to face the crisis of credibility because of the corrupt practice,” said Rupam Barua, president of JFA. Barua, also a veteran journalist of Assam, asserted that a social media audit of newspaper groups, addressing all vital financial issues, would thus establish how some media barons in India continue exploiting the medium for their selfish interest and it would ultimately help the media employees to get their due benefits supported by the law of the land. We, the members of civil society and human rights defenders of Nepal, express our deep concern over the takeover the administration of the country by the military junta, disbanding the democratic institutions of Thailand. According to the report, hundreds of political activists journalists, academics and demonstrators have been illegally detained and many others at the risk of being arrested following the imposition of the martial law. Furthermore, the report suggested that numbers of those already in detention are held incommunicado having no access to the lawyers, courts or relatives in unknown locations in violation of international human rights law. It is also reported that the military has instructed the media not to report anything that is critical of the military's actions or to interview people who may criticize them or the current political situation by using the power of martial law having authority to detain people for up to seven days without warrant, charge or trial without being liable to compensate to those affected by illegal actions. As a state party to the International Covenant on Civil and Political Rights, Thailand is under International treaty obligation to refrain from arbitrarily depriving people of their liberty, and to respect and protect freedom of expression, peaceful assembly and association. Hence, we the civil society and human rights defenders of Nepal, humbly urge you to reinstate the democracy and restore the democratic rights of people in the country, respect freedom of press and fulfill the core international human rights obligations. We also call for all those detained by the military to release immediately and unconditionally from detention. Furthermore, we call on the authorities to immediately disclose the names of detainees and their whereabouts. Background: Somchai Neelapaijit a prominent human rights lawyer was abducted and disappeared in Bangkok on 12th March 2004 under Thaksin Shinawatra's regime. Five police officers – Police Maj. Ngern Tongsuk, Police Lt. Col. Sinchai Nimbunkampong, Police Lance Cpl. Chaiweng Paduang, Police Sgt. Rundorn Sithiket, and Police Lt. Col. Chadchai Leiamsa-ngoun – were arrested in April 2004 in connection with Somchai's case and charged with coercion and robbery. None have been charged with the more serious crimes of abduction or other offenses connected to the enforced disappearance. On 12th January 2006 the Primary court read the verdict that the Court believes that Pol. Major Ngern committed offences regarding physical assault as per Section 319(1) of the Penal Code and coercing a person to do or not to do something by the use of violence as per Section 319(2) of the Penal Code. The Defendant 1 is convicted with the gravest punishment for coercion for three year imprisonment, whereas charges against Defendant 2-5 are dismissed due to a lack of supporting evidence. Pol.Maj. Ngern Tongsuk had been free on bail while appealing his case. On 11 March 2011The Appeal Court ruled that Somchai's wife, Angkana; and his daughters and son, could not be considered as joint plaintiffs because legally the section 5(2) of the Criminal Procedure Code provides that "the ascendant or descendant, the husband or wife, in respect only of criminal offences in which the injured person is so injured that he died or is unable to act by himself (may act on behalf of the injured person)." However, the court noted that the accused had only been charged with coercion, and it "could not absolutely confirmed that Somchai Neelapaijit had been injured to such an extent that he could not act by himself or had been indeed assaulted to death." The court also ruled to acquit all the defendants on procedural and technical grounds. Pol.Maj.Ngern, who had been free on bail while appealing his case, was reported "missing" in a mudslide on September 19, 2008. On 9th May 2011 Somchai Naalapaijit's family appeal to the Supreme Court both the decision on his family standing as Joint-plaintiff and substance issues in the case. Mr. Adilur Rahman Khan, a renowned human rights defender, who has been relentlessly persecuted by the incumbent regime in Bangladesh, has been recognized for his courage by the global human rights community. Adilur has been awarded the 2014 Gwangju Prize for Human Rights, which he will share with Mothers of Khavaran from Iran. The award will be presented in a public function held in Gwangju, South Korea, on 18 May 2014. And, in another announcement released yesterday, Adilur has been selected as one of the three recipients, alongside Cao Shunli and Alejandra Ancheita, for the 2014 Martin Ennals Human Rights Award, which will be presented in a formal ceremony in Geneva, Switzerland, on 7 October 2014. This recognition, in relation to two prestigious awards, brings further limelight to Adilur's work, to his uncompromising stand against forces of impunity in Bangladesh. A former Deputy Attorney General of Bangladesh, Adilur has been active in the promotion of human rights, democracy, and the rule of law, and in highlighting the extrajudicial killings and disappearances that vex Bangladesh. 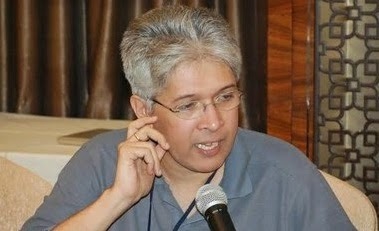 His association with Odhikar, a reputed national human rights organisation, as its Secretary, has placed Adilur on a persecution list prepared by the Bangladesh government. Last year, for 62 days, from 10 August to 11 October, Adilur was detained by the government without warrant. The ostensible reason for persecution of Adilur and Odhikar is the publishing of a report that documents 61 extrajudicial executions undertaken by security forces during demonstrations against the incumbent regime. Odhikar has continued to face threat of forced closure. Its staff has been hounded and intimidated with threats of fabricated criminal charges. Yet, Adilur has continued his work, risking life and freedom. The Gwangju Prize for Human Rights promotes the spirit of the May 18 Democratic Uprising, wherein the people of Gwangju, South Korea, resisted brutal military forces to help establish democracy and human rights in the country in 1980. The prize is awarded annually to an individual or organization that has struggled for or contributed to the improvement and advancement of human rights, democracy, and peace in their community and country. Former laureates include some of the most prominent persons in Asia who represents the spirit of freedom, human rights, dignity and democracy, like Mr. Kay Rala Xanana Gusmão (East Timor), Mr. W. J. Basil Fernando (Sri Lanka), Ms. Aung San Suu Kyi (Burma), Mrs. Angkhana Neelaphaijit (Thailand), Mr. Munir Malik (Pakistan), Ms. Irom Sharmila Chanu (India), and Mr. Sushil Pyakurel (Nepal). The Martin Ennals Award for Human Rights Defenders is a unique collaboration of ten of the world's leading human rights organizations to support and protect human rights defenders worldwide, namely: Amnesty International, Human Rights Watch, Human Rights First, International Federation for Human Rights, World Organisation Against Torture, Front Line Defenders, International Commission of Jurists, EWDE Germany, International Service for Human Rights, and HURIDOCS. The awards are a warning to dictatorial regimes seeking to smother the spirit of freedom, dignity, and human rights, and should serve as an inspiration to all activists, defenders, and citizens, doing their part to lift humanity to its true potential. The Asian Human Rights Commission, along with all of its partner organisations in Asia and across the globe, congratulates Adilur and the Mothers of Khavaran for their effort, and also salutes the work of Cao Shunli and Alejandra Ancheita. Tsundur, Guntur, A.P. which had made headlines way back in 1991 when eight dalits were lynched by a 400 strong armed mob of Reddys is again in the news. The recent judgment of the A.P high court has overturned the judgment of the Special courts and has acquitted all the accused involved in the case for ‘want of evidence’. As rightly noted by Human Rights Forum (HRF) the judgment is ‘brazen injustice’ and is ‘reflective of upper caste anti-dalit bias’ and ‘betrays insensitivity in the judiciary to an inhuman caste atrocity.’ It is expected that the state does not waste time in moving the Supreme Court to get this retrograde judgment overturned and render justice to the families of dalits. What is more disturbing and shocking is the fact that when the Special Court formed to deliberate on the case had finally given its verdict seven years back, it was considered a ‘historic’ in very many ways. The conviction of the perpetrators – twenty one of the accused were life imprisonment and 35 of the accused were asked to serve one year rigorous imprisonment – was considered a significant milestone in the ongoing dalit emancipation movement. II. The judgment by the special court had demonstrated the immense possibilities inherent in the SC and ST Prevention of Atrocities Act (1989) which till date remain on paper. As rightly noted it was the first time in the nearly twenty year old trajectory of this act that special courts had to be set up at the scene of offence. It is noteworthy that Dalits in Tsundur were so united that they neither accepted any summons from the courts nor they ever went to court which was situated at some distant place from the village. They demanded in unison that the courts should come to them and the government had to concede to their demand and set up special courts in a school premises. They had also demanded that they be provided with a Public Prosecutor and a judge who has a positive track record while dealing with cases of dalit atrocities. After lot of dilly-dallying the government had complied with this demand also. It has been normal in all such cases of dalit atrocities that as time passes, people including victims and their families loose interest in continuing their fight for justice. They come under pressure or are coerced into changing their statement in the courts etc. The significance of the Tsundur struggle was that the people leading the campaign were successful in keeping the people mobilised all these years. Tsundur became a rallying point for different left and democratic forces in the state and it was harbinger of a new turn in the left politics also which resolved to take up the issue of caste oppression. III. D Dhanraj was a crucial witness to the whole case. He did not falter for a moment despite tremendous pressure brought upon him by the powerful Reddys. One could see that Tsundur, the small village in Guntur, had created many such ‘unsung heroes’ – ordinary looking people who faced heavy odds so that they get justice. Merukonda Subbarao, a fifty six year old daily wage-worker, who had served as the first president of the ‘Tsundur Victims Association’ was another such ‘hero’ who identified and named forty of the accused standing in the court room, from among the one hundred and eighty three accused. It was clear that the whole incident was etched in his memory so strongly that he did not falter despite the judges requests to repeat the identification. And who can forget Martyr Anil Kumar, a young man in his twenties who was in the forefront of the struggle so that the perpetrators of the massacre are punished without delay. Anil was killed in a police firing during one of those struggles. As is clear in every other atrocity against the dalits, the Reddys who have dominated the state politics since independence, tried with all their might so that they are allowed to go scot free. Utilising their contacts in the Judiciary, bureaucracy or police administration they tried to delay the process of justice as long as they could do it. Attempts were made to buy or coerce the dalits in very many ways and the state also tried to play second fiddle to the Reddy’s. It felt that by distributing largesse to the dalits, giving jobs to few of them, awarding compensation to the victims’ families they could calm down their yearning for justice. But dalits in Tsundur wanted nothing less than severe punishment for the perpetrators.Unitedly they raised a slogan ‘Justice not Welfare’. It was worth emphasising that with their continued resistance they were able to make Tsundur a key issue in state politics. IV A brief recap of the events in this ‘historic case’ tells us that the upper caste (namely the Reddys’ ) used the pretext of of alleged harassment of a Reddy girl by a dalit youth in a cinema hall to attack the dalits. The planned nature of the attack was evident also from the fact that within no time a few hundred strong mob of Reddys wielding traditional weapons (and few of them carrying modern firearms) descended on the dalit hamlet and unleashed their fury against the innocents. In fact, sensing an imminent attack, most of the menfolk had already left the village. Once the marauders came to know of this they literally chased the dalits on the road adjoining the Tungabhadra canal and lynched them one by one. Looking back it is clear that the preplanned attack against the dalits was another futile attempt by the Reddys to reassert their age-old authority which had seen fissures with the growing assertion of dalits. The changed atmosphere in the village was for everyone to see. Not only many of the dalits boys and girls had benefitted from the affirmative action programmes in education, a few among them had even surpassed the Reddys in many respects. Many of the dalits from the village were working with Indian Railways. Overall the situation was such that the Dalits had refused to follow the medieval dictats reserved for them under the Varna system. V. All that is passe now. The judgment of the high court which has overturned the verdict of the Special Courts reminds us that the journey to achieve justice is going to be a long one. Any cursory glance at the cases of mass crimes against dalits tells us that the high court judgement is no exception rather it is the norm. It was only last year that Patna highcourt acquitted nine out of 10 accused in the Miyapur massacre for ‘lack of evidence,’ overturning a lower court’s order. (July 2013) The Aurangabad Scheduled Castes and Scheduled Tribes (SC and ST) special court judge, Krishna Kant Tripathi, had earlier awarded life imprisonment to 10 persons on September 20, 2007. The Miyapur massacre was a major carnage in which the Ranvir Sena killed 32 people, mostly Dalits, supposedly to avenge an earlier Naxal attack in Senari village of Jehanabad. A 400-500 people had entered the village and began firing at the villagers. (16 th June 2000). The same year one witnessed Patna high-court overturning another judgment by the lower court where 11 accused involved in the killings of ten activists of CPI (ML) in November 1998 had been convicted. One had witnessed similar reversals in the Bathani Tola massacre – which involved 23 accused – and Laxmanpur Bathe massacre – which saw 58 deaths. In all the above cases Ranveer Sena was said to be involved but it was allowed to go ‘scot free’. No doubt that the lower courts had convicted the accused – which the high court later reversed – but a close reading of the cases would make it clear that loopholes were deliberately left which could facilitate the accused. e.g. the police had pronounced Ranvir Sena supremo Brahmeshwar Singh “Mukhiya” the prime accused, an “absconder”. It is a different matter that this dangerous criminal was languishing in Ara jail since 2002. It may be added here that when Nitish Kumar, assumed reins of power in 2004, one of the first thing he did was to disband Justice Amir Das Commission when it was nearly ready with its report. This commission was appointed in the immediate aftermath of the Bathe massacre and had gone into great details about the political patronage, which Ranvir Sena received, from different mainstream political formations. VI. It is possible that all this details where the state and its different organs comes out in rather unflattering terms could be brushed aside as a story repeated ad nauseam. All the talk of dalit atrocities could be presented as another extension of the way in which ‘state in the third world’ unfolds itself. But the key point worth emphasising is that caste atrocities much like gender oppression or racial atrocities have a specificity which transcends the binary of ‘state as perpetrator’ and ‘people as victims’ . In fact they implicate the partisan role played by the people themselves. The ‘Report on Prevention of Atrocities against SCs ‘ prepared by NHRC ( 2004) presents details of the way in which the civil society presents itself . 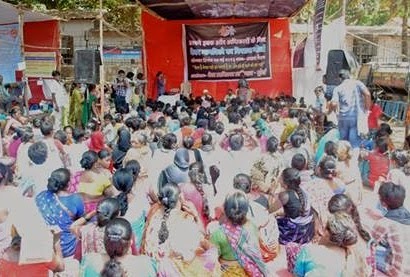 Here civil society itself becomes a distinct beneficiary of caste based order and helps perpetuate the existing unequal social reactions and frustrates attempts to democratize the society because through the customary arrangements the dominant classes are assured of social control over people who can continue to abide by their commands without any protest. Of course the uncivil nature of the civil society presents before us a unique challenge where the need then becomes to rise above a mere discourse on civil and constitutional rigths and address the failure of the largest democracy of the world to go beyond mere form. We have to appreciate that it concerns the greater hiatus that exists between constitutional principles and practice and corresponding ethical ones based on a diametrically opposed ideal. Everyone has to see that under the purity and pollution based paradigm which is the cornerstone of our caste system, inequality receives not only legitimisation as well as sanctification. As inequality is accepted both in theory and practice, a legal constitution has no bearing on the ethical foundation of caste-based societies. In fact Dr Ambedkar, the legendary leader of the oppressed had this very reality in his minds, when he emphasised the difference between what he called ‘political democracy’ and ’social democracy’, the difference between ‘one person having one vote’ and ‘one person having one value’. VII. To conclude, one can go on enumerating cases of dalit oppression and explain the manner in which perpetrators of atrocities against dalits are ‘saved’ judicially. Protest against the judgement by Dalit Adivasi Bahujan Minority Students Association Perhaps one can make a beginning with the first massacre of dalits in independent India when 42 dalits – mainly children and women – were burnt alive by a gang of marauders belonging to the local upper castes (1969) in Kizzhevanamani, Thanjavur, Tamil Nadu. 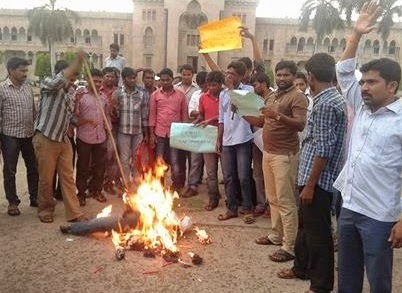 Dalits and other exploited people in that area of Thanjavur had launched an agitation under the leadership of Communist Party on the question of wages which had infuriated the dominant caste people. Here also the judgment by the Courts was disturbing to say the least. The courts had acquitted all the accused with the specious argument that ‘it appears unbelievable that all these members of the upper caste’ would have gone walking to the dalit hamlet/basti.’ It is said that shadows of Kizzhevanamani have continuously hovered around atrocities against Dalits and adivasis in post independent India. Question arises how long it is going to continue? As the campaign for the 16th Lok Sabha draws to a closure today, the campaign witnessed tremendous response from wide range of people in the Mumbai North East constituency. This response and the large number of issues emerging is also because of the failure of Corporator, MLAs and MP in discharging their duties as elected representatives. None of them taken any steps to curb the fundamental corruption involved in the projects. There has not been any attempt to policy making focussing amenities and housing. People’s response to our campaign was because of we raising these issues in the past years and because of their faith in our continuous work on those issues. Out of my nearly 40 years of work, the 17 years I worked in Mumbai has given me an inside out knowledge about the basic issues of the constituency. This election is important for us, as we seek larger representation of people in decision making and to continue raise those issue with more strength and vigour. Hence we make a pledge to implement all national level commitments by Aam Aadmi Party in its Manifesto and in the Mumbai Manifesto. Further, we issue a Mumbai North East specific prime issues pledging that we will leave no stone unturned to fulfil those. We also reiterate that all our efforts will be participatory, transparent and accountable, involving the people of the constituency across the caste-class-creed-gender differences, and political ideologies. Hence we appeal to the voters to join us in these efforts, with their strengths and commitment, to bring in change and make our city corruption free. We will achieve this together with participation of people from all walks of life, contribution of professional skills and inputs from experts. Modi’s lies and threat to not just secular fabric, but even dalits, adivasis and downtrodden... In a rally addressed by Modi in Mumbai yesterday he said that "Maharshtra would get electricity worth Rs 400 crores for free if the project (Sardar Sarovar Narmada project) was completed." The blatant lie repeated for the second time in this election season is another attempt t to mislead the people. Maharashtra, which has also sacrificed a few thousands crores of revenue, by submergence of 33 hilly adivasi villages, will lose 9500 ha of land, parts of it are forests, in the Sardar Sarovar Project (SSP). Additionally she spends Rs.3000 crores in proportion to the 27% of power from the project. SSP is an interstate project, with financial commitment by each of the party states. How can then the power be free to Maharashtra? While Modi builds his campaign on lies and twisted facts, he poses a serious threat to the secular fabric of the country. By his silence isn’t Modi supporting Vishwa Hindu Parishad's (VHP) president Pravin Togadia’s communal venom in Bhavnagar by saying “evict Muslims from Hindu areas”? His outlook towards the dalits and socially marginalised is evident from his reported statement sometime earlier where he, observed while releasing his book Samajik Samrasata, that dalits were like mentally retarded children. What an irony, somebody who does not respect the dalits and marginalised writes a book with its title Samajik Samrasata (Social Equity)! Last year, The Gujarat High Court ordered the Gujarat government to strictly adhere to the Scheduled Tribes and Other Traditional Forest Dwellers (Recognition of) Forest Rights Act, 2006, and the rules framed thereafter under this central Act. The order came on a public interest litigation (PIL) by a group of NGOs, which said the state government was violating the provisions of the Act in deciding the claims of tribals and had arbitrarily rejected more than one lakh such claims. 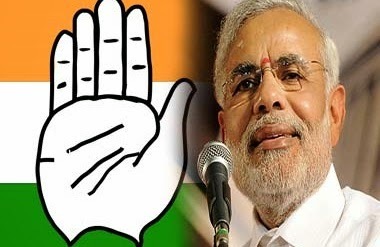 It will be a figment imagination, generated by aggressive advertisement that Modi with a proved track record for being anti poor, anti dalit, anti adivasi and minorities could lead the country which is built on the foundations of secularism, tolerance and respect to each other. We will stand by dalits, who apart from asserting their identity and dignity, faces the challenge of getting the basic rights, as upheld in the Constitution, as envisioned by Dr. Babasaheb Ambedkar. The positive discrimination and reservation will be implemented only when they stand united. If Modi around, can NCP be far behind? We will challenge the corrupt party NCP, who are involved in scams worth thousands of crores. Some of them include, irrigation scam, Gosikhurd canal scam, sugar factory scam, even the former Member of Parliament seem to have contributed to corrupt practices in using the MPLAD funds. By not raising the corruption issues in this Constituency, such as allotment of MHADA land, rehabilitation of slum dwellers and in infrastructure projects, he has permitted the corrupt practices. He cannot shrug the responsibility of his inability to curb corruption, failure to address the fundamental issues of the constituency and not being around for the people when the people needed him most. We will launch enquiries into all those allegations of corruption once the elections are over. We appeal to all voters of the Constituency to come out in large numbers on the voting day, cast their vote and be a part of the democratic process. We appeal to the voters to cast their vote in favour of honesty, accountability and good governance and against corruption, communalism and injustice. The sudden spurt in the growing BJP attacks on the Aam Aadmi Party leader Arvind Kejriwal at Varanasi is a clear reflection of the frustration in the Narendra Modi camp. In less than 12 hours, BJP workers under guidance from their state and national leadership, have twice attempted to disrupt Kejriwal’s campaign in Varanasi. In full public view, the AAP leaders have been pushed, abused and shown obscene gestures by BJP workers. After Thursday night’s condemnable incident, the BJP workers on Friday morning once again tried to disrupt Kejriwal’s padyatra in the city by raising slogans, using unparliamentary language and showing obscene gestures in presence of the residents. The BJP is now showing its true colours and attempts by its workers to prevent Kejriwal from campaigning reflects the true ideology of the saffron party, which is based on intolerance and fascism. It is shocking that the BJP, which was claiming a Modi wave in Varanasi, stands exposed, since the people are witnessing cheap politics being practiced by BJP which is all about abuses, obscenity, stones, sticks and eggs. The BJP’s emphasis on trying to scare its political rival by using violent and cheap tactics is putting the basic principle of parliamentary democracy under threat. Instead of debating issues concerning the people, the BJP appears to have decided to take the route of imposing its undemocratic views on the people. The party which was claiming a wave is now resorting to muscle power to brow beat its rivals, but the BJP has forgotten that the AAP cannot be cowed down by its strong arm tactics and the AAP will oppose all the BJP maneuvers’ strongly with the support of the people. Despite the BJP attempts, the AAP is determined to take its issues to the people and will continue to expose the BJP’s intolerant politics. Slap Politics: Should Arvind Kejriwal Offer His Other Cheek? The recent slap on the cheek of Arvind Kejriwal by an Auto Driver sends two old loud messages. One message is why has new party AAP dumped `Me & My dreams`. Here auto driver expectations are natural but the bleeding disjoint system cannot deliver speed justice. Modi False Wave with well oiled RSS organisation is focussing blame on AAP-Arvind Kejriwal `lies to Public` who is available as comman man punch bag rather than attacking the insulated old system which still hides the Corporate hand. Second message says that Abambani-Adani Profit Nexus is behind the tradition Governance system of BJP-Congress which uses a network of relatively honest organised team called RSS. To understand Truth Behind slap politics we need to understand the past direction of the anger from the Anna Movement where `short cut` were used but BJP-RSS were a part of Anna Movement. Today RSS the `champions of Truth` is supporting the Modi Wave and dumped the anti-corruption agenda of AAP. It is evident that BJP-Shiva Sena-MNS nexus continue to beat the Non Marathis job seekers and chase them out of Mumbai and even then the Media-Police-Politicians and Voters in Mumbai are silent. Now BJP-Congress is protecting Adnani-Ambani Nexus and are not ready to make the change simple in favour of majority tax paying Indians. AK-49 as designated powerful by Modi ji gets beaten up by people time and again. He does not have the power to make people happy immediately as the dreams fulfilment want fast results.In Indian election history, Arvind Kejriwal is a campaigner who got inked+beaten+ attacked by Eggs and car windows smashed outside Delhi in Gujarat and Varanasi; highest number of times. Arvind Kejriwal claims it as Conspiracy of BJP-Congress nexus and has strong reasons as he is attacked even outside Delhi where he made no promises as Delhi CM.Every time ordinary attacker is thrashed severely, normally, police would arrest people from both sides in a public fight for beating each others. AK claims, without naming, attackers are sent by political parties like congress or BJP. But police is silent on this issue after recording statement of attackers. Even media is also silent, apart from loud noise. Do people have a right to know the truth ? With the acceptance of an old bollywood song Kolaveri Di, the slap market is upbeat. The Tamil word Kolaveri Di's literal translation is Murderous Rage or Killer Rage. But the sense of the song as sung by the character is not that. It expresses the person who is dumped by a girl and now is drunk.Why this Kolaveri di means "Why did you do this to me" or "Why you dumped me". Allow me take you back to my past published text of my 2011 year end articles on Slap Politics and Anna Movement which stands relevant even today. One slap on the cheek of the Honourable Agricultural Minister on 24th.Nov-2011 was captured and flashed by media again and again in the past.Old-fashioned experts link this to the education system. Some argue that that post slap nervous system gets alert and starts delivering more blood-Oxygen to the brain.A slap-happy culture should now serve the traditional BJP-Congress hidden agenda of diverting attention from vital national issues. It forces people on road to use slap politics as a way to “fire fight” their own anger.Where should the Aam Admi go ? To CBI or Police perhaps? Getting killed with full information to Police is just of many heinous things happening to whistleblowers today. While forgiving the attacker, shall be forgive the deliberate system also ? Sad! Paid media is giving a different spin to the incidence. Slap Politics as a solution is forced on a common man with no choice.Slap happiness is a spontaneous `short cut`. Arvind Kejriwal has correctly forgiven the attackers calling them as victims of the system.What Next ? Should Arvind offer his other cheek for the new slap ? When a Minister is slapped,there is a debate in the Sansad and the Aam Admi is send to jail.A village Sarpanch and a leader of Akali Dal-BJP repeatedly slapped a lady teacher as shown in the past television images as she was demanding a perment job and a contract.As usual Police present at the spot was caught on camera looking away. Unequal social and economical justice is another reason for people getting angry and losing their dignity by showing low tolerance levels. To change the situation and to see that such stories do not not break every minute we need to understand as to why there there is no limit for rich. Unlike BPL,a line which helps gauge poor and levels of poverty. There is no line to limit or to count the wealth of filthy rich.As per the media reports Lali the auto driver took Rs.500/- took a loan to repair his house and was often a borrower of money.AAP conspiracy theory becomes effective here as the attacker plan in advance knew that there will be a risk of supporter anger in the Road Show. 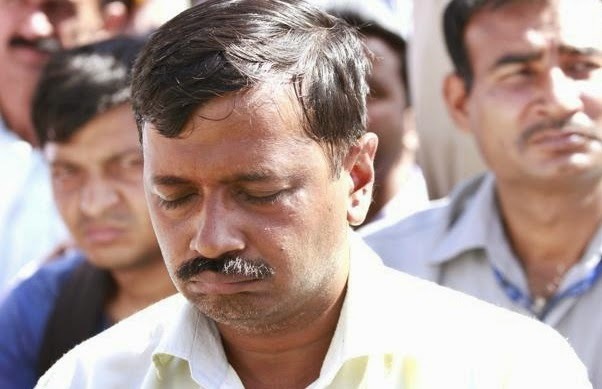 Recent report is that auto driver Lali apologised to Arvind Kejriwal in person. Only constructive participation of people, more jobs and effective laws with speed justice can stop slap politics. Till then the Government must close down the Bata, Action and other Shoe & hawai chappal making companies to overcome this challenge. For newer ways to stop slap politics ? Can the politicians and media suggest a safer route? With politicians getting charged up with the “slap” theory it appears that soon public meetings and Road shows shall get converted into open jails with hand cuffs to be put in common man wrists. Can this prevent the slap and its unending repercussions? What about MPs and MLAs behaviour in Parliament ? Noise and anarchy in full public gaze continues. Chairs, mike, paper weight, black pepper spray, money bundles & shoe throwing with abuses in Parliament and Vidhan Sabha is often seen . Can we tie the hands here misusing public money and time ? Discipline must start at the bottom and maintained at the top. Indians outside Delhi has globally championed Hunger and Farmer Suicides. Bad Governance = Globalisation of 1% without justified rules. Parliamentarian Nexus with fake hidden masters like Ambani-Adani continue to be the worst enemy of 99% people with no time management and no sensible law delivery in time. It fails to help bring more people to in the correct Economics. How shall it help in correcting law making process ? Law enforcing institutions like Police, CBI and Judiciary follow the orders of Parliamentarians. All these institutions need reforms. Parliament work needs a reform to ensure democracy and a correct chain of survival. If a politician is slapped then Privilege Motion taken by Parliament for combating protest is amazing. The person is put in jail. However when a common man is slapped then leaders fail to act. Police, Parliament, Politicians and judiciary all pop up excuses. Hope the post election India 2014-15 witnesses New accountable India free from Slap. Slap and pain are inseparable. After all, before birth of a new guest labour pain and bleeding is absolutely normal. Modi is Pro-Pakistani? The latest attack by Modi is against A.K.Antony and Kejriwal that they are Pro-Pakistanies. If any one disagreeing with Modi is disagreeing with Hindu Fundamentalism is Pro-Pakistani. In that sense Mahatma `Gandihi, Nehru, Sardar Patel, Lal Bahadur Shastri are all Pro-Pakistanies???!!!. In truth Modi wants to create India like Pakistan Fundamentalism. Modi infact is imitating Pakistan. On the otherhand if Modi is becoming India’s PM he has to take an oath based in Indian Constitution(IC). According to IC India is a secular state, where every religion is respected. Every Caste, Creed, Language and Faith are respected. Religious Fundamentalism, both minority and majority are directly opposed to IC. If India has to survive as a Democratic Country in the World India’s Secular Heritage Has to be protected. Modi is corrupt like Congress. The press release makes a vague claim “The Standing Committee of Finance of Parliament headed by the BJP leader Sh. Yashwant Sinha has seriously questioned the Gas pricing policy and sought review of the same”. This says nothing about the BJP’s position. The Standing committee is that of the parliament, not of the BJP. It also says nothing of the BJP’s Prime Ministerial nominee’s position on gas pricing. Neither does the BJP’s press release explain what “serious questioning of gas policy” really entails. Flying in the face of the falsehood of BJP’s press release from the Gujarat State Petroleum Corporation where Mr. Modi’s Govt clearly recommends a gas price formula which if you insert the current market price of Brent crude crosses $14 which is even higher than what the UPA very generously recommends to favour Reliance. The logic of this formula is the same as the market value logic of the UPA - only higher. With such compelling evidence, how the BJP expects anyone to believe their startlingly misleading press release is worrying. Veerappa Moily and Modi are in connivance with Ambani in the price rise. It is heartening to see the EC has banned the proposed Gas Price rise. In fact 5400 Crores of Peoples money are saved from going to profit making business of Ambani and Co. Further encouraging FDI is adding to the corruption charges against Modi and Congress. Privatization is the main cause for Corruption. Globalization which both Modi and Congress want are organically linked with Corruption. The JPC committee headed by P.C.Chacko has been trying to protect the PM and FM and making Raja alone responsible for 2G spectrum Scam. Even the accused was not even heard. Where is the Natural Justice? Is Gujarat Shining? The forthcoming election, it seems, will be fought mainly on issues of governance and economic performance. To the extent there is a focus on the personalities involved, such as Narendra Modi or Rahul Gandhi or potential ‘Third Front’ candidates such as Nitish Kumar or Mamata Banerjee,or Jayalalitha. Most of the discussion is about their economic track record or lack thereof. Mainly media is responsible for this. Media is under the control of different interests. See what is going on in the SC concerning the Corruption in the Cricket. However, in the grand theatre of Indian politics, facts often take a backseat to slogans, and opinions get sharply polarised. For example, we either hear that Gujarat’s economic performance has been nothing short of miraculous due to the magic touch of Modi or that Gujarat’s so-called growth story is all hype and a PR campaign aimed at covering up a dark underbelly of poverty, inequality and low levels of human development indicators. Who is giving such importance? Media is in the hands of Modi. Do we want a Hitler type or Mussolini type PM? The way Modi was chosen and the way Modi is behaving and speaking like autocrats. We need a PM who is democratic and work within a team. We need a PM who is an all inclusive leader. We need a PM who believes in the Development of all the Indians. Modi’s language is not the concern of all the Indians. 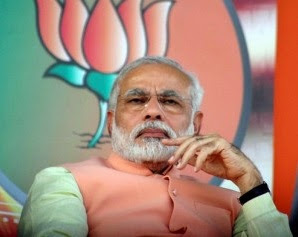 It is very dangerous to India if he becomes the PM of India. Personal attack is the content of speeches. The Challenge before the Voter? We cannot anymore tolerate this kind of a situation in India during 2014 Loksabha Election. Each vote is crucial in your choice of a candidate. You should vote for a person who is not corrupt and criminal. If you have no worthy choice you have the right to use Nota. Let us save the Nation and its Democracy.